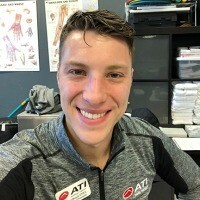 Conveniently located on 23rd Avenue S in Federal Way, ATI Physical Therapy is the premier choice for personalized physical therapy in a friendly and encouraging environment. Known for exceptional results and an upbeat atmosphere, ATI Physical Therapy provides physical therapy and sports medicine. Matt graduated from Stony Brook University in 2013 with his Doctor of Physical Therapy degree. He has a strong interest in sports as a result of playing soccer at State University of New York (SUNY) College at Oneonta. Matt has spent the majority of his career in outpatient orthopedic practice. Originally a native of upstate NY, he moved to Washington in 2015 and spends his time off hiking, camping, and playing sports. His most notable hike was a summit of Mount Adams. Emily made it her mission to help others with nutrition after realizing how little information about eating healthy was available. She earned her degree from Iowa State University and successfully completed the national dietitian exam. Emily specializes in helping people who have eating disorders. 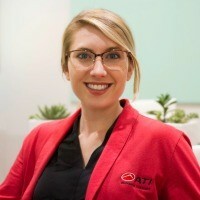 She enjoys working with a variety of patients, including those with diabetes, obesity, or gastrointestinal (GI) problems. Outside of work, Emily loves hiking, camping, and exploring with her husband and dog. 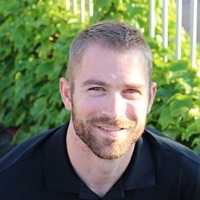 Michael holds a Bachelor of Science degree in Kinesiology from Michigan State University and a Master degree in Occupational Therapy from Wayne State University. He is currently studying to become a Certified Hand Therapist, with expected completion in 2019. A hand therapist at ATI for almost 3 years, Michael has an interest in myoelectric hand prosthetic rehabilitation. ATI has a simple referral process and performance-based methodology to help increase strength, endurance and cardiovascular function with the goal of returning you back to work. Achieving international recognition for its outcomes in workers’ compensation rehabilitation, ATI offers innovative solutions that deliver efficiencies and high levels of satisfaction. Visit your local Federal Way ATI to learn more. At ATI, our goal is to help you feel better – quickly, easily and affordably. Plus, we’ll make it fun along the way. To schedule your first appointment at your local Federal Way ATI within 24-48 hours, or to request a complimentary screening, call (253) 946-4852. Our clinicians will develop a custom treatment plan that addresses pain, gets you moving and lowers the chance for future injuries. ATI accepts virtually all major insurance carriers and will verify insurance for you. ATI is an expert in preventing, evaluating, treating and rehabilitating injuries, and will coordinate care with your physician, parents and school/club officials to get you back in the game. From injury education and prevention, to conditioning and rehabilitation, we provide on-site athletic training services to schools and clubs. Visit your local Federal Way ATI to learn more.